June is the month of overpriced ice-cream, beer gardens and horrific sunburn from underestimating how much sun cream you actually need. This year, it’s also the month we get to see England sweat their way to a couple of draws before getting destroyed by the Germans in a certain football tournament. As a result, new releases are thin on the ground. Still, we’ve managed to scrape together the best of the bunch of a little round-up of the latest movies, DVDs, CDs and games. In a stroke of marketing genius, the clever lads in Kasabian have decided to release their latest bout of lad-based lager rock than during the World Cup, which should ensure that you hear at least 2 of the tracks off this album over a montage in June. They’re also playing some festival or something. The early signs suggest that 48.13 sounds…well, like a Kasabian album. Nothing more, nothing less. If you like that sort of thing (i.e. Kasabian), then you’ll probably love this. Jack White has been around for what seems like forever, so we were surprised to hear that Lazaretto is actually only his second solo album. Expect dirty rock n’ roll with White’s trademark wails layered over the top. Don’t expect a female drummer who may or may not be White’s sister/ex-wife. Despite selling millions of records since, poor ol’ Linkin Park still have the spectre of Hybrid Theory hanging of their heads; they’re even playing it in full at this year’s Download Festival. The shadow of their ultra-successful debut also hangs over The Hunting Party, their latest release. Various members of the band have described it as being like Hybrid Theory but more grown-up and more contemporary. Quite what that sounds like we don’t know, but it’ll be worth keeping an ear out for. The Mastodon boys were once the toast of metalheads everywhere, but their 2011 album The Hunter finally introduced the band to mainstream audiences too. As with The Hunter, Once More Round The Sun promises to shy away from the bands sludge-y roots in favour of a classic heavy metal sound with a proggy edge. Even if the rest of the album is rubbish, this’ll be worth it for the new single High Road, which is an absolute belter. This year’s staple summer album comes from none other than Example, whose latest album is a collection of Balearic-style beats with massive choruses and a wee bit of rapping. It’s pretty mindless, but you’re guaranteed to hear it everywhere this summer so it’s probably worth getting used to. 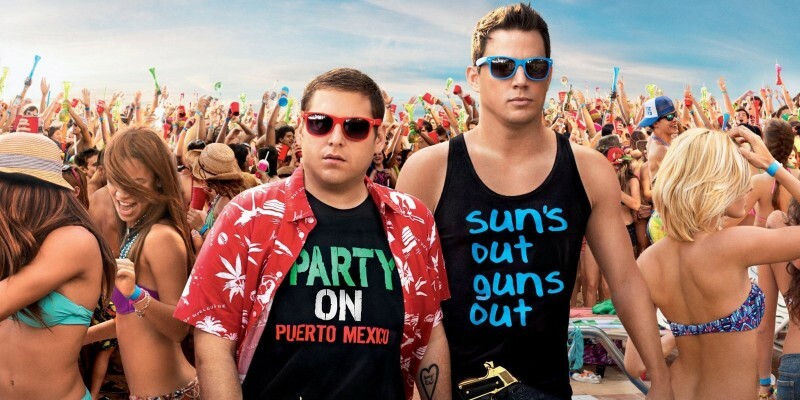 The sequel to the surprisingly popular remake of 21 Jump Street reunites Jonah Hill and Channing Tatum as cops who go undercover at college (y’know, ‘cos they did high school last time) to take down a drugs ring. It won’t be big, it won’t be clever, but it will be very, very funny. Oh, and it also stars Kurt Russell’s son, Brad Pitt and Ice Cube (he of F*** the Police fame) as a police captain. Excellent. How to Train Your Dragon 2 is going to be huge. Early reviews suggest its better than the first, with some even saying its better than the current animation flavour of the week, Frozen. The plot revolves around Hiccup and his Viking pals riding around the world on dragons, which sounds like one of the best premises for a film we’ve ever heard. And yet, despite this, the film will probably never actually tell us how to train a dragon. Our letter to the Advertising Standards Agency is in the post already. Well, we all knew this day would come. After the rampant success of The Inbetweener’s Movie and the less rampant success of Keith Lemon: the Movie, the inexplicably/obviously popular (delete according to personal preferences) Mrs. Brown’s Boys is going to be hitting the big screen. Plot details are thin on the ground, although a synopsis mentions Mrs. Brown saving her market stall from a ruthless property developer (AKA Plot #1 from ‘The Big Book of Stock Comedy Movie Plots’) with the help of some ninjas, an alcoholic solicitor and a barrister with Tourette’s. Cue hilarity/existential despair (delete according to personal preferences). The pick of the bunch in what is a very scarce month for decent new games (hot weather, World Cup, etc), EA Sports UFC promises to bring everything you love about UFC – kicking people in the face, breaking their bones and generally smashing people into a bloody pulp – to your console. Hooray! Murdered: Soul Suspect casts you as a spooky ghost detective who has to solve his own murder; imagine Robocop if it was written by Edgar Allen Poe, and you more or less have the gist of Soul Suspect. Still, it sounds and looks pretty intriguing so it might be worth a shot! Sell your unwanted CDs, DVDs & Games to musicMagpie and make some cash to put towards the latest releases! ← Which Oscar-winning movies should you buy on DVD?